After Mark Rothko came to New York, he eventually became an important figure in the post - World War II group of artists known as the Abstract Expressionists. Famous figures in the group include Jackson Pollock, Jasper Johns, Willem de Kooning. This loosely associated group of artists used color and gestural brushstrokes to convey human emotion and feeling. The canvas acted as an arena to play out their emotions, and in doing so, their work became a place for viewers to explore their own emotions and states of mind. 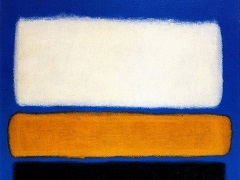 Rothko's mature style is exemplified by large areas of horizontal color which create spaces for viewers to stand in front of, letting their emotions come to the surface. Many of his pieces reflect the somber emotions which must have been part of his early life. The vertical orientation of Rothko's paintings reflects the size of a person standing before the piece, while the horizontal areas of color might be considered a reflection of the horizontal orientation of a landscape. 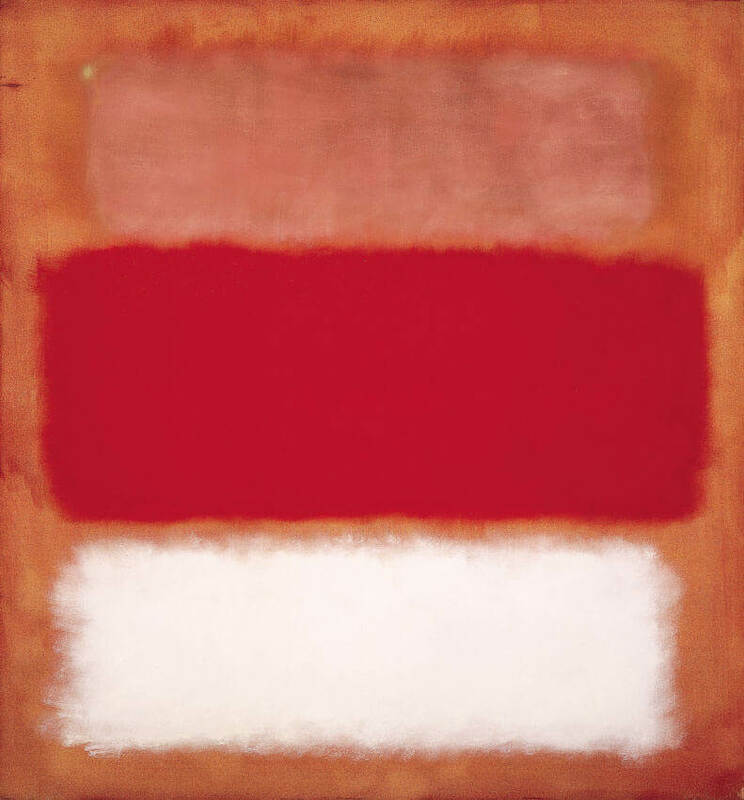 Rothko, along with his contemporaries, was one of the first artists to think of the work of art not as a reference to another event, but as an experience created by the viewer. Rothko wanted his paintings to be large enough that a person could stand facing them and get lost in the expanses of color. He said, "I want to be very intimate and human. To paint a small picture is to place yourself outside your experience . . . However you paint the larger picture, you are in it. It isn't something you command."